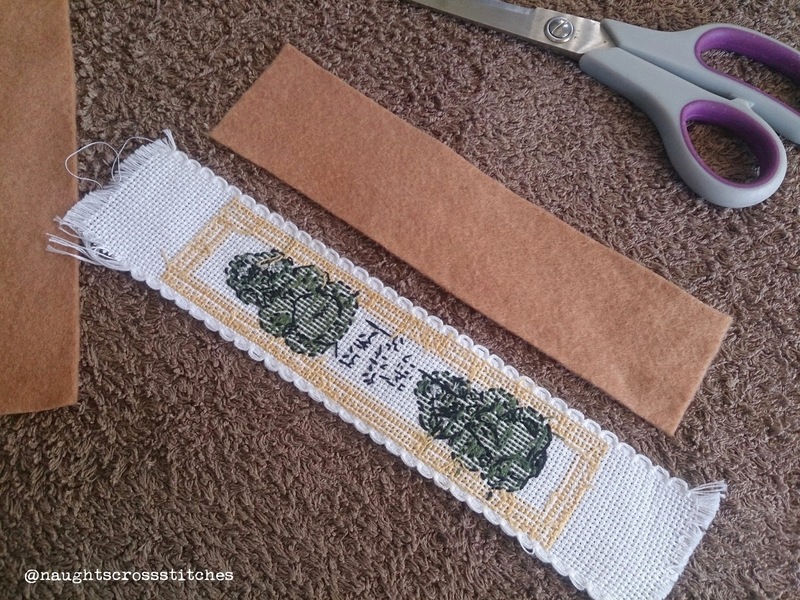 I wasn't sure what I was going to post today but then I managed to have a finish so I decided to show you how I like to finish my cross stitch bookmarks. 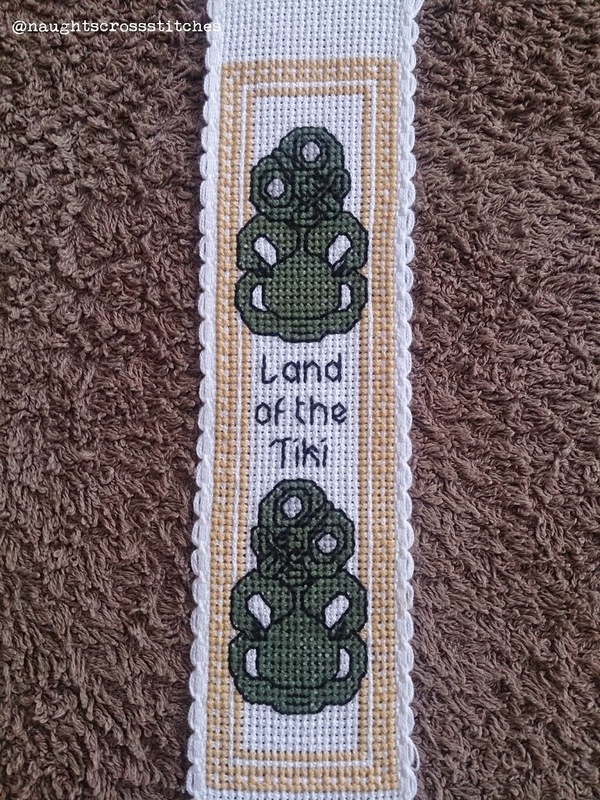 I finally completed the tiki bookmark that I bought in New Zealand when I was there in July. It was very close and when I grabbed it out of my bag it didn't take long to complete. Doesn't it look gorgeous all finished with the back stitch and for once I finished the stitching today and managed to finish the piece today as well. That has to be a record for me too actually finishing finishing something the day it is finished! Gather all your supplies together. Cut out the felt starting by making it bigger than the bookmark then slowly making slightly thinner than the sides. 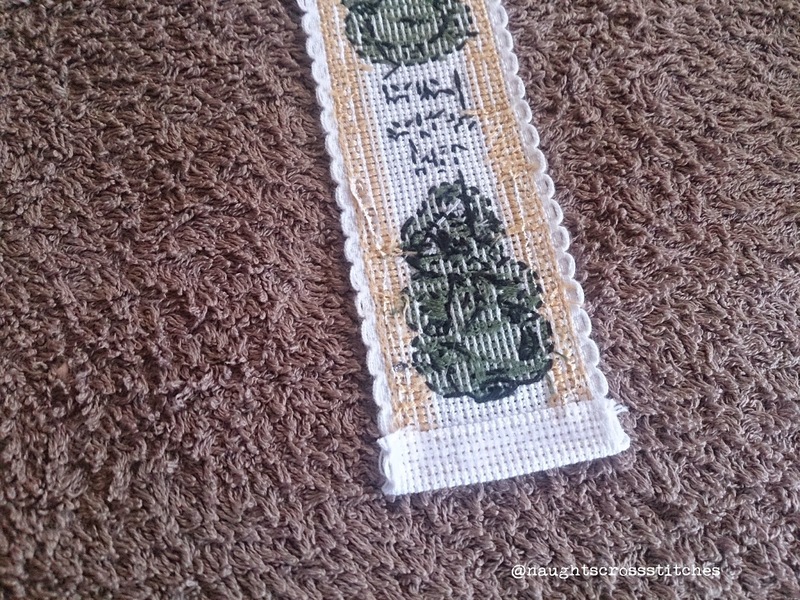 You want it longer than your cross stitch to start with and you will cut it down later. 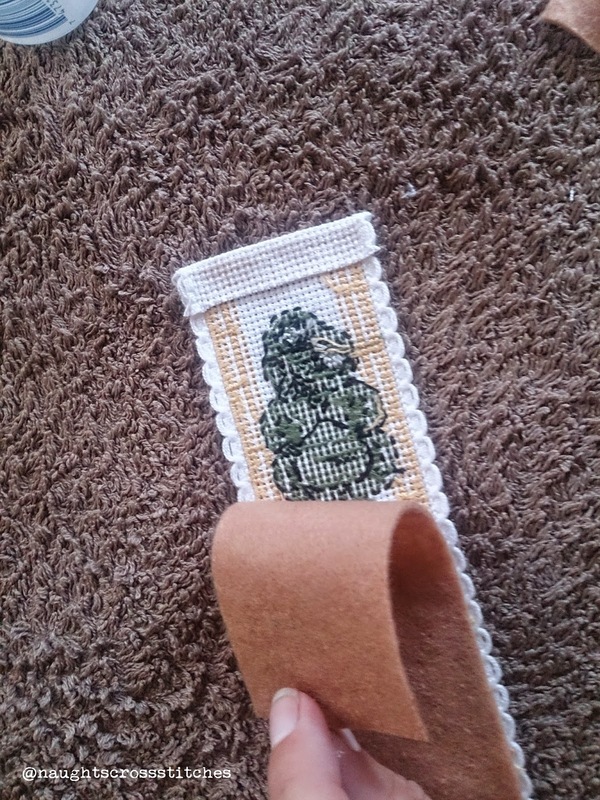 Trim down the ends of the bookmark so only about 1cm or so is left at each end. Fold one end up and make sure it is glued up before placing glue along the bottom and then halfway up the sides. 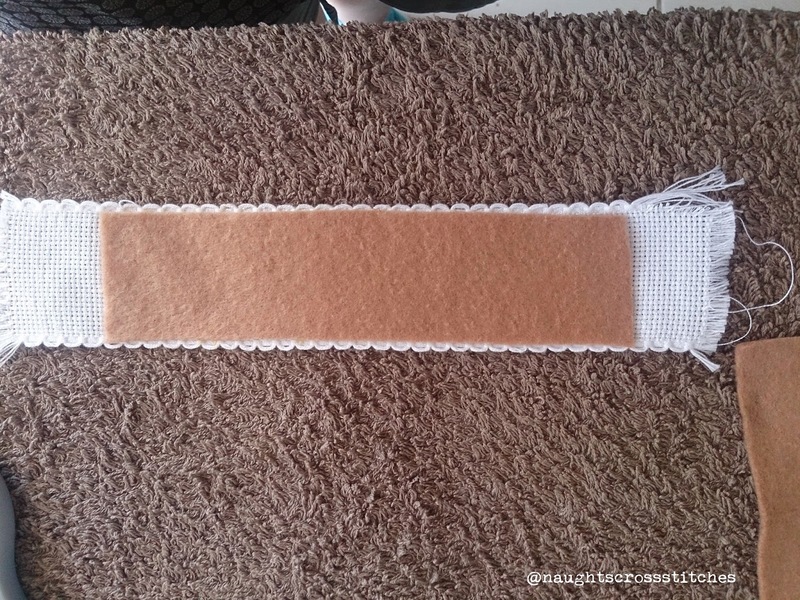 Carefully place the felt on so that it lines up slightly above the bottom of the bookmark. Make sure it is even on both sides then press it onto the glue. Now you can fold down the top of the bookmark and glue it down. 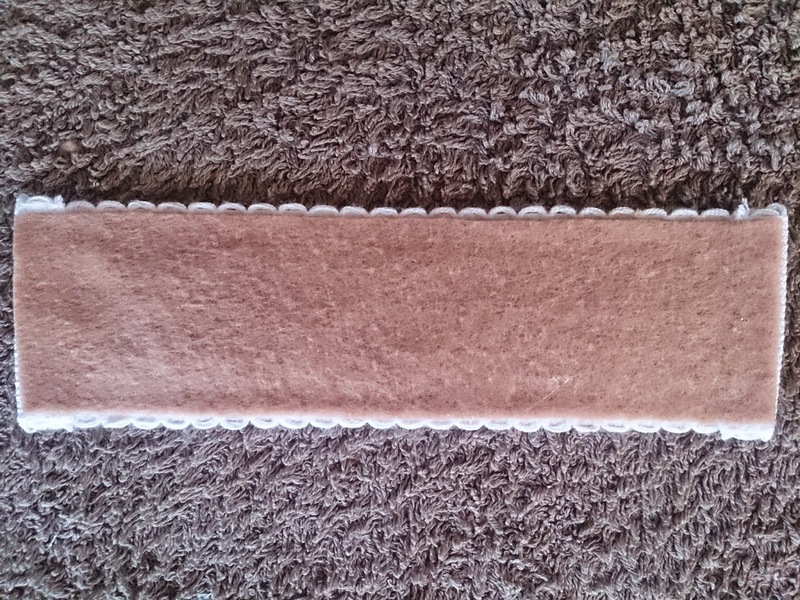 Before you glue the rest of the felt trim the top, of the felt, so that it sits just below the edge of the bookmark. You can see below what it should look like. 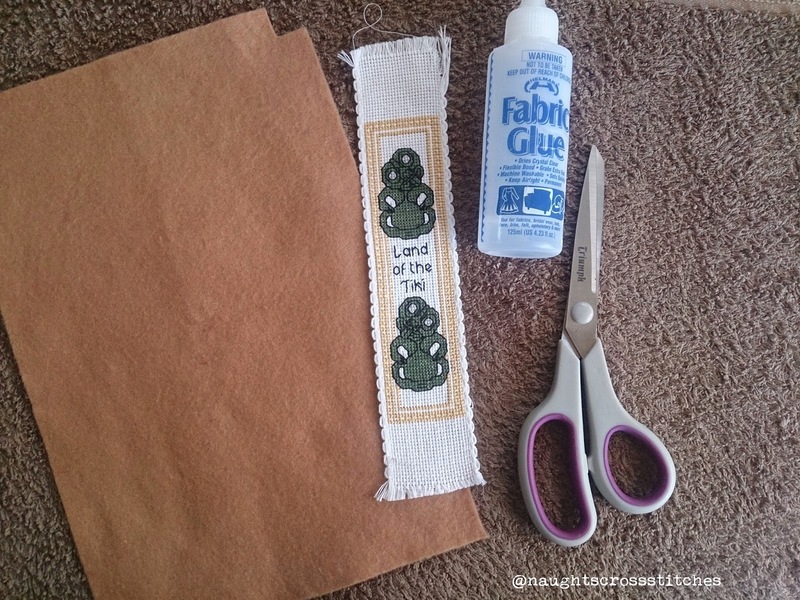 Then glue the felt down like you did for the rest of the bookmark. Show off your finished piece! This shouldn't take you long to do. It only took me about 5 minutes to cut and glue it. The longest part was having to go to spotlight to get some more glue because mine had dried up at the worst possible time! I use this glue all the time and it seems to hold really well ... until I leave it with the lid slightly undone. Hope this helps you to make your own bookmark in time for christmas. It could make quite a lovely gift for the book lover in your family. I had a question about the tiki pattern. It was a kit I bought at a souvenir shop in Wellington. It's manufactured by CraftCo Limited. It's called 'Tiki' by Lyn Manning. I hope that is enough information for you to find it. Wonderful tutorial - love your finish! Congrats on the great finish Caitlin. I love the way you finished it with the felt. Oh it's lovely! 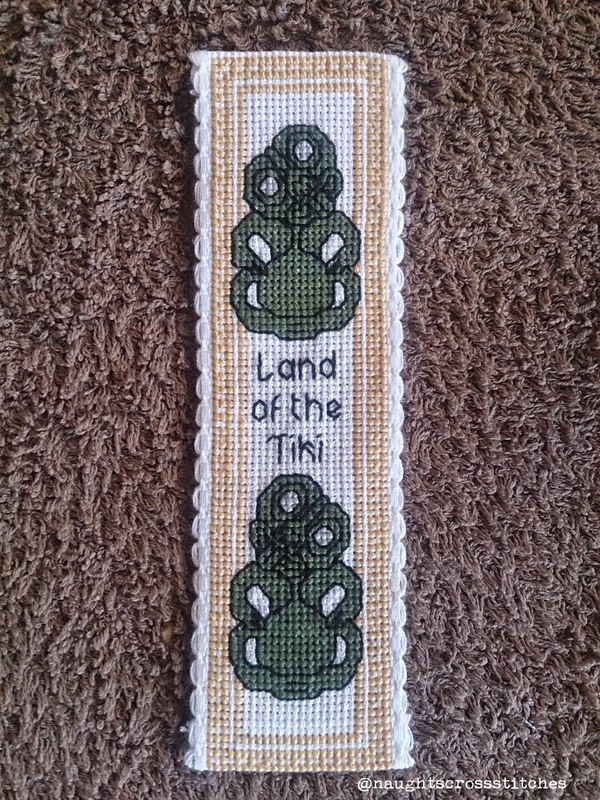 I'm 1/2 Maori and I would love to stitch that for my dad. Could you tell me who published the pattern, so I can see if I can order it? Great tutorial. It's so detailed and clear. That looks great. Thanks for posting the finishing tips, I'm working on a bookmark now and I found that really handy.